Dalmatian Jasper Pendant on Silver Necklace Jewelry, "Calm Determination"
Alok Jain showcases the uniqueness of dalmatian jasper in the design of this necklace. 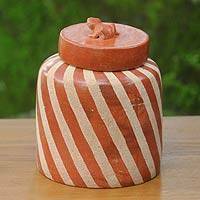 A protective stone, dalmatian jasper is said to foster both calmness and determination. 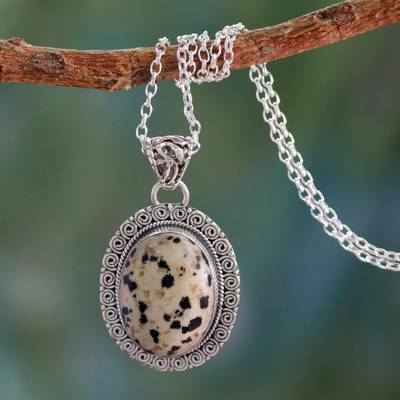 The brown spotted gem is encased in an ornate sterling silver oval medallion on a sleek cable chain necklace.